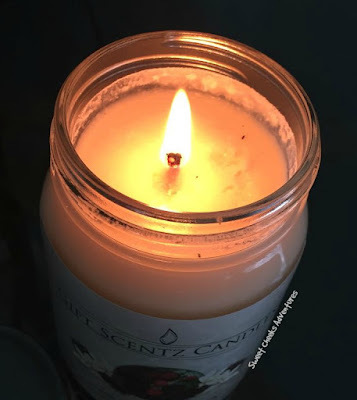 When the holiday season starts rolling around I think about candles! I love candles year round, but especially when they smell delicious! I'm quite excited to be working with Gift Scentz Candles this year for our Holiday Gift Guide! The scent I chose is Black Raspberry Vanilla. I'm having a struggle not licking this candle. It smells like pure sugar. So delicious. I felt the need to burn this candle right away upon opening it. Unscrewing the lid and presenting my nose with the delicious scent that is Black Raspberry Vanilla was like a gift. In that moment, I promised myself I would only burn this candle upon special occasions. Then I realized I could just order another, so I've been burning it every chance I get! The candle is made of 100% natural soy wax. The jar is made of glass and has a screw on top. This is perfect for when I am not burning the candle. I dont have to worry about the dogs knocking it over and the lid flying across the room. Trust me, these dogs can make that happen. Another great thing about Gift Scentz Candles.... The burn time! I have burned this candle for hours and it seems the wax is not disappearing. Of course this is a plus because the candle will last the length of time and I can bask in the delicious smell longer! 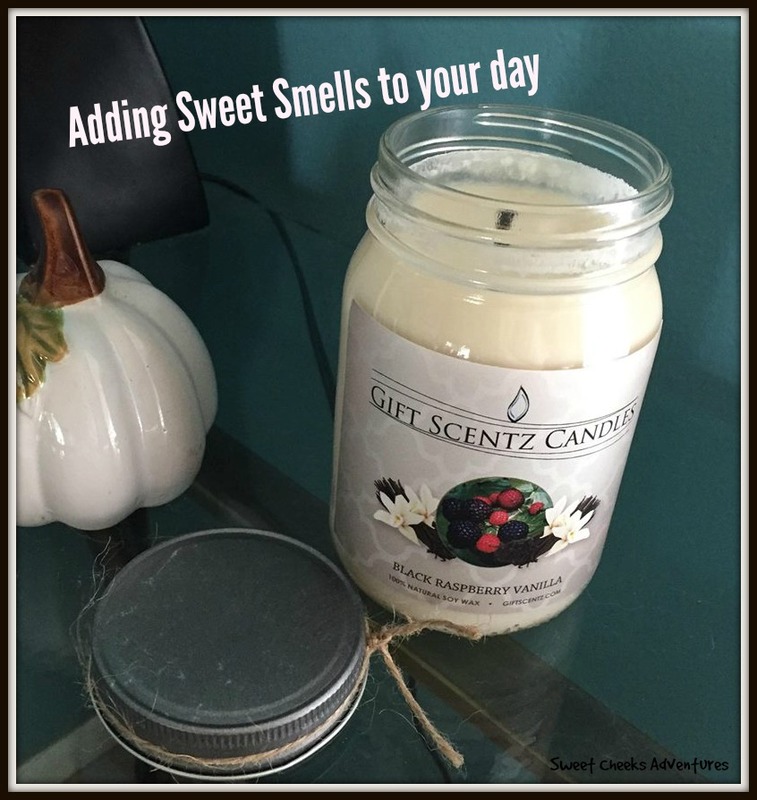 Santa can bring you a Gift Scentz Candle this year. Be sure to add it to your list and be nice. So many delicious scentz to choose from! That isn't sweet enough? How about a 50% off code to order!!? Simply use this link and the discount will be applied for you! The code is NEW50.